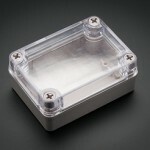 Standard Injection Molding Company takes their enclosures to the next level; they do custom machining and printing to precision specifications, all in-house. Other customization options are also available. SIMCO combines machining services with design expertise. Customers can send in a sample circuit board, and SIMCO will fit the enclosure to the functions needed. If the customer already has a design, they can send in a drawing in most formats, including dwg, dxf, iges, pdf, jpg, bmp and vector. SIMCO uses a Fryer VB-40 Vertical Machining Center to achieve tolerances as tight as 0.005″. 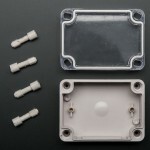 Their plastic enclosures and panels are easily machined or drilled to create openings for switches, connectors, displays, etc. The typical lead-time is just four weeks. 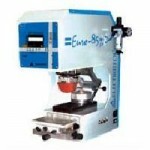 SIMCO can also pad print logos and labels on their enclosures. They have a wide variety of ink colors available. For custom printing, artwork should be sent in pdf, jpg, bmp or Photoshop format. The artwork should be in a 1:1 format. The drawing should indicate position of the art on the case. The better the quality of the file the better end product the customer will receive. 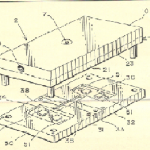 Some SIMCO plastic enclosures can be custom molded using our patented “insert” technique to mold openings and assembly requirements where needed. 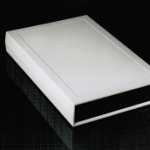 A special low cost mold can be constructed to your specifications for inexpensive custom end panels. SIMCO’s custom enclosures have been used for a variety of applications, including weather radios, oscilloscopes, USB devices and telephone switches. Almost any electronic device can be housed in a SIMCO enclosure.